When it comes to new musical interfaces, everything has come full circle. 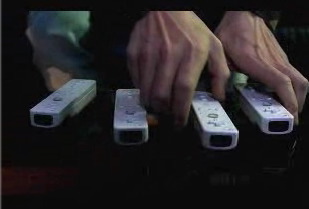 Composers and interactive musicians have for years appropriated Nintendo hardware like the wireless PowerGlove. Forward-thinking music designers and music makers have imagined and prototyped hardware that would translate gestures and three-dimensional movement into sound. But there’s never been anything approaching a mass-market device, until now. Once upon a time, you’d only find wireless multi-axis controllers in experimental academic studios, but now they’re the buzz of the gaming world, thanks to Nintendo. And even a game about conducting classical music can be headlines news. Here’s more on what Nintendo’s cooked up, and, as I’ve said before, why it might inspire musicians to experiment with new ways of making music. 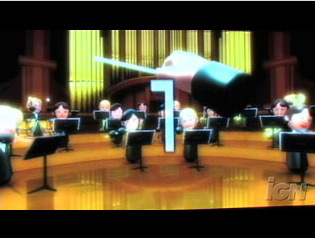 Thumbnail from IGN’s excellent Wii Music coverage; other images from Nintendo Wii site videos. Aside from Nintendo tunes, Bizet is on offer, and guessing from the video at the Nintendo site, it looks like you can play drums, guitar, and so on, as well. But this is exciting for a number of reasons. First, the mass market is getting people excited about music making, and embracing new ways of interacting with technology, meaning the time is also right to start to share what we’ve been doing holed up in academies and galleries with the rest of the world. Not only that, Nintendo has provided a big incentive and inspiration to artists to keep pushing the technology. 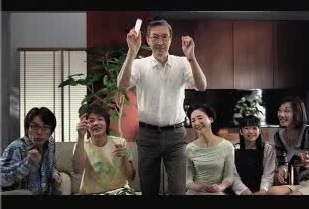 The Wii remote is actually something you can build yourself; it uses all off-the-shelf tech. While Nintendo has enough volume to make these cost $30 retail or whatever they’ll be priced at, you can still get away with making your own interactive controller for under US$150, thanks to the fact that DIY components are all mass-manufactured. (BYO soldering iron, but I hope to have a demo later this summer.) And, of course, if you build it yourself, you control how it works and what gadgets you add to it, as well as, most importantly, software interaction. Incidentally, if you don’t want to break out a soldering iron, you’ll also soon have cheap tilt-sensing controllers that could be useful for music applications. The Gyromouse products have been out for years, and are a favorite among Macromedia (er, Adobe) Director users, but the new devices are likely to be more fun. Hacking a Wii controller to work with a Mac or PC may be tricky, though GameCube controllers can work with computers via cheap adapters, so Wii controllers may, too. If that doesn’t work, there are already PS2/PC-compatible knockoffs of Sony’s PS3 knockoff of the Wii, like the eDimensional controller recently discovered on Gizmodo. If you’re interested in interactive technology, let alone gaming, it’s worth checking out the full Nintendo Press Conference. Substitute the words “music instruments industry” for “game industry,” and these are worthy thoughts for music technology makers. Nintendo’s focus has been on expanding the market for games, attracting people who’ve never gamed (not sure how they avoided even Tetris and Pac Man, but okay), and people who are lapsed gamers (the many people who say “Oh, yeah, I used to play NES all the time”), all while giving more to the hard-core gamers (the folks who are probably saying “why again would I spend $600 for a PS3?”). Now, granted, Nintendo is taking some big risks (they said so themselves), so while I really buy into this vision — brand loyalty aside, because these are the kinds of things I believe in as far as people using technology — they’re going to have to deliver. This isn’t a gaming site, so I can’t comment on that and sound like I know what I’m talking about. But I do think that thinking about the experience of technology, the fun of using this stuff, and how to appeal to a broader audience and satisfy users is just as vital to music tech. It’s tough for the smaller music technology industry to think in these kinds of broad, adventurous terms, because most of the product developers and manufacturers have enough to keep them busy. But the time might be right to do just that. What’s unique about Nintendo’s take, I think, is that they’re listening to their core market — the people who were saying, you know, I really had a lot of fun playing the old Mario Bros. games and I miss them, or the people who just want to wave a controller as a sword. (I was even talking to a woman in a bar the other night with friends, and she was psyched about swinging the Wii controller around.) Music making offers the same sort of visceral reaction for a large community of people, not just the niche market that some of us represent. Stay tuned for more on using these kinds of controllers to make music. Let’s see if I can get my wireless movement sensors working before Nintendo ships their Wii. Personally, I can’t wait to play with both. What’s your take on the controller? What would you like to see from music tech; does any of this have applications to real music making and not just music games? (Is there a difference between the two?) Let us know what you think, and don’t forget, CDM’s rgaming and music forum is waiting.